We have a proud history of partnering with our clients in the defense of life, health, disability and ERISA claims. We are particularly honored that our clients were influential in our being named a “Go To” Law Firm for Litigation in this practice area, a distinction noted in both Forbes and Corporate Counsel magazine. Our lawyers are regularly asked to speak at industry conferences, seminars and meetings. As benefit protections erode with each wave of legislation, life, health and disability decisions are being scrutinized at every level. Whether the inquiry is from an insurance department, the DOL, a judge or claimant, insurers and plans are on the hot seat. Today, the challenges of life, health and disability fiduciaries are more prominent than ever. 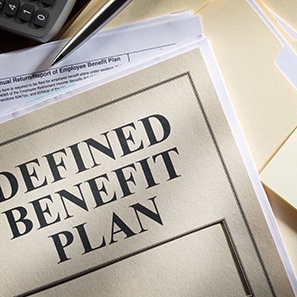 It seems as though the landscape in which insurers and plans are required to draft new policy and plan language, interpret existing policy and plan language, and adjudicate claims—both ERISA and non-ERISA—is ever-changing. The Life, Health, Disability and ERISA Group represents insurers, employers, brokers, re-insurers, third-party administrators, self-insureds, ERISA plans and related entities in a wide array of matters that include the routine as well as the unexpected. Our lawyers have a wealth of solid experience and broad knowledge from years of handling complex and unique issues under both individual and group plans. Whether under the Employee Retirement Income Security Act of 1974 (ERISA) or other federal, state, insurance or regulatory laws, the LHD&E Group brings an unbridled commitment to quick, efficient and aggressive resolution of life, health and disability matters. With extensive trial experience in this area, we are able to deliver results in the courtroom as well as in alternative dispute resolutions. We understand that, while results are paramount, we must also provide our clients with timely, proactive and cost-efficient advice. In the ever-changing landscape of individual first-party insurance disputes, the LHD&E Group has been a leader in shaping life and disability case law across the nation. From pioneering the first manifest defense in New Jersey to creating the distinction between “totally disabled” v. “residually disabled” in New York, we have guided clients successfully through the bad faith thicket. Comprehensive experience and attention to detail set our ERISA lawyers apart. We are dedicated to helping our clients through the maze of the ERISA statute, regulations and case law and are well-versed in establishing and maximizing ERISA protections. Whether counseling clients as to fiduciary obligations or on plan administration, arguing ERISA applicability or the ERISA standard of review, defending against overbearing discovery requests or claims alleging fiduciary breach (for statutory penalties or ERISA attorneys’ fees), we defend insurers, employers, employee benefit plans, sponsors and fiduciaries in confronting the ever-expanding issues and exaggerated claims they face. The healthcare industry has been experiencing enormous upheaval for several years. With the passing of the Affordable Care Act the healthcare system had been under extreme pressure to change, with the ripple effect foisting untold duress upon health insurers, plan administrators, employers and providers.